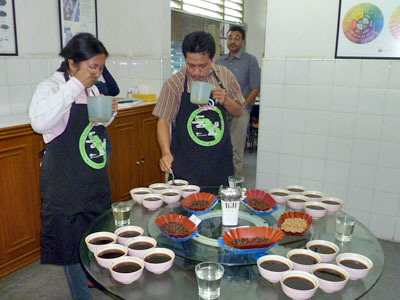 During two days, Quintino’s Team “Jalan-Jalan” in Arabica coffee plantations and gets cupping formation in Medan. The objective of the visit was to learn and see all of the process from the plant to the green bean step by step, because it’s the best way to appreciate the work and the time to get a high quality coffee bean that Quintino’s sources at each season. We took time to discuss with farmers about their plantations, their difficulties to harvest and to process cherries alone. The cupping in Medan consisted on tasting and comparing the taste of Arabica from different area: pantai raya, sidikarang, golden Sumatra and old pea beans. 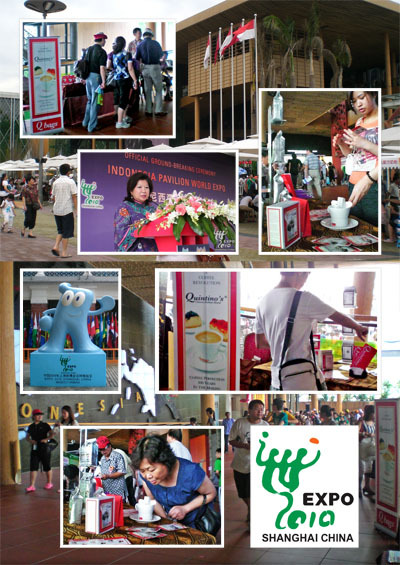 As sponsorship, Quintino’s has participated to the French cultural events organized by CCF Jakarta (cultural center of the French Embassy). 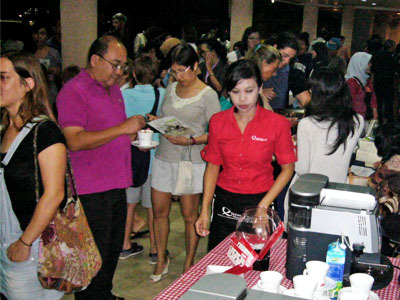 More than 300 people could enjoy our free coffee in different style: espresso, regular, cappuccino, latte… the best way to take time to discuss and get a friendly moment to discover the best flavor of the Indonesian coffee by Quintino’s. 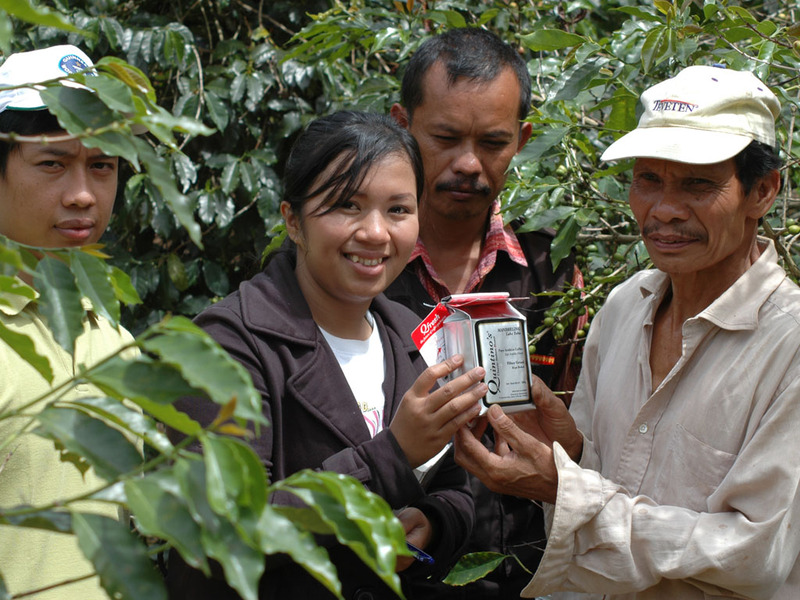 The Indonesian coffee and cacaoo research Institute (ICCRI) organized two days of seminar with the objective to increase and promote the Arabica coffee market in Indonesia. 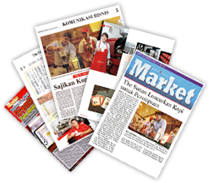 More than 250 participants joined the seminar, including farmers, researchers, traders, collectors and government people from ministry of Agriculture (presence of the vice minister) and the “Dinas perkebunan”. PT. Quintino’s Djava team participated at the seminar at the business coffee round table. That was the opportunity to meet farmers and find new suppliers of green beans. During the visit of the research institute, we have been informed about the last technologies developed in genetic selections, processing, and organic materials for compost… PT. 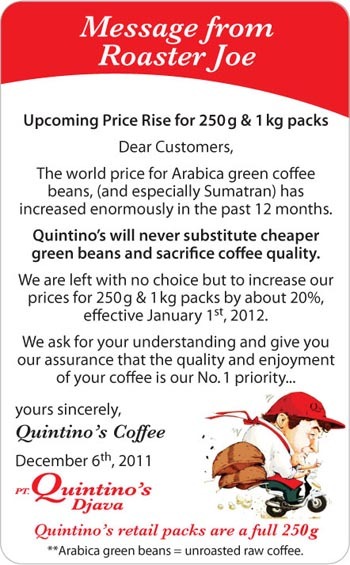 Quintino’s Djava stays aware of the market and all scientific research and development for the coffee. 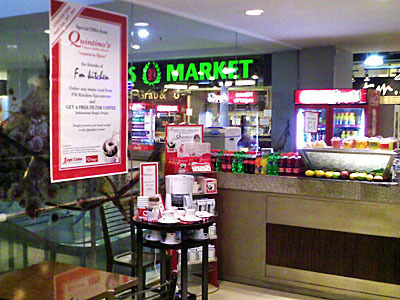 Every week, enjoy a new Single Origin at Farmer Kitchen Epicentrum! Free cup of coffee for any meal! 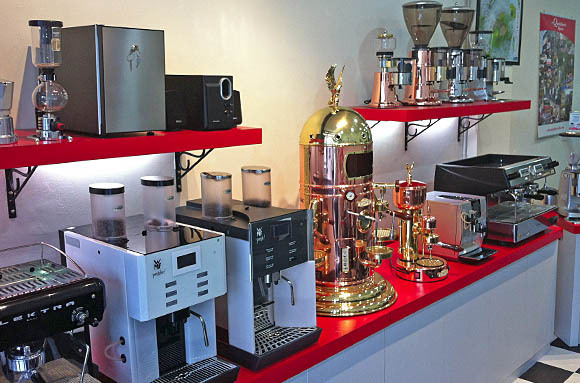 After a small slametan we opened our new coffee and machine showroom on April 4, 2012. On display are some of the coffee making methods and machine brands the we believe in, including Elektra for the barista, WMF automatic and Mazzer grinders, amongst others. The new premises are not only a showroom for machines but also will be used as our coffee boutique. Full machine demonstrations, meetings, staff trials & customer training can be arranged. 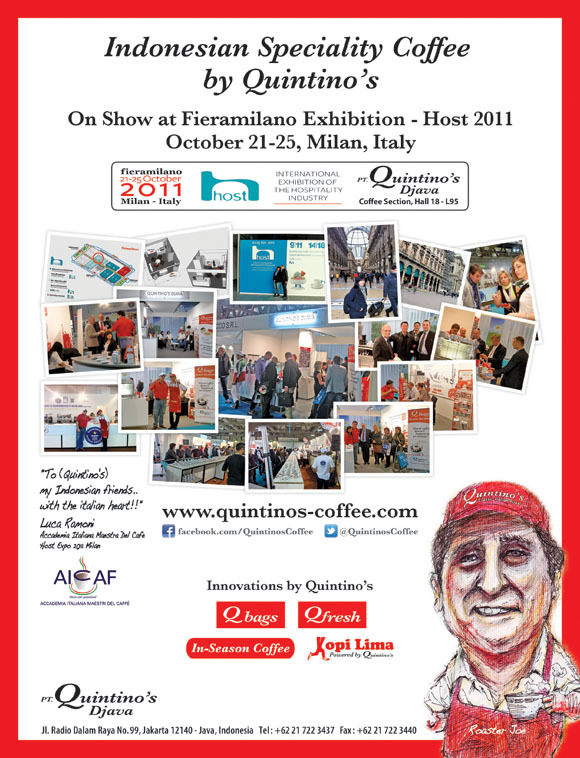 Not to mention our full range of Quintino’s single origin coffee’s and blends will be there for the tasting. To come visit our showroom, please remember to make an appointment. Open Monday to Friday 9-5.